Preparing for an exam can be stressful and time consuming, but it doesn’t have to be. There’s no need to stress out or cram. By doing a couple simple things ahead of time, you can ensure that you are confident and ready for anything that comes up on the test. There are lots of ways to study / prepare for examination. As it’s a 21st century there are lots of new techniques. As the generation changes the method of preparing for examination also changes. Start studying early In this you will first need to understand which topic or subject you’re going to prepare for. 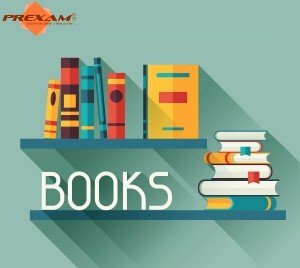 Purchase a book or a study material, you can also visit your nearest library. Give yourself more than enough time to review the material that was covered in class. You might want to gauge how soon to start studying by how much material you need to review. For instance, if you have to review material for an entire semester/ Government exams, you might want to start studying a few weeks prior. Only you know how long it takes you to study, so you are the best judge of when to start studying and how to start studying. If the class material is especially difficult for you. Start studying early. Give yourself enough time to truly grasp the material, practice it and then review it. Get a full night’s sleep before the exam. Your brain needs time to subconsciously digest everything you’ve put into it, so start early so you don’t have to stay up all night. Read through the entirety of your notes that will be on the exam. It will refresh your memory of the material and help you remember what you learned. It will also help to make you aware of all the information in your notes. Get some good notes. Good notes can make all the difference when you’re studying. Ask your teacher about the test material. One of the easiest ways to begin your studying process is to find out what is on the test directly from your teacher. As now days almost all the examination are conducted online. There are various website which allows you to give a free test series. Once you done with your registered process you can give online test. You will get result as soon as you submit your test. Some website has question banks available with updated questions. The main Advantages of online test series is you can give test anywhere anytime. You can study anywhere anytime. You do not require to carry any sort of study material with you. But the only problem with this process of preparation is that the website/App which you’re going to give test on should be well organised and it should be related to your topic of study. There are various website that charges a high amount but do not have that much features. Before registering on a free test series website we need to look for few points. Is the website/App well organised? Is the website/App having numbers of question banks? Are the website / App updated. Every Student needs PREXAM app. Over Thousands of students are benefiting from it today, and 93% have reported an increase in grades. The All New & Personalized Learning App lets your learn, practice and clear all their doubts related to exams. It creates a unique learning journey based on their learning speed & style, thus helping them learn better. For better learning outcomes.